Figure 7. The influence of potential hydrogen bond acceptors as estimated by the number of O and N atoms on susceptibility of compounds to Pgp efflux. A compound is determined to be a Pgp substrate in this study if it has directional transport greater than 2 in transport studies with L-MDR1 cells. The number of compounds showing directional transport greater than 2 over the total number of compounds in each category is presented above the bar. toward false positive or false negative results. The majority of incorrect predictions had transport ratios between two and three. The second modeling approach determined the probability that a compound would be subject to Pgp efflux based on calculated physical chemical parameters. This approach yeilded similar predictive potential to the KNN approach. Although both of these models could be useful for virtual screening, the greatest value came from the potential to resolve out of the model structural features conferring Pgp susceptibility. In the case of the KNN model specific functional groups could be identified which conferred susceptibility to Pgp. The functional groups identified were consistent with those identified through manual comparison of structures, and tended to show groups with greater number of hydrogen bond acceptors as liabilities which increased Pgp efflux. QSAR analysis using molecular operating environment (MOE) resolved 7 physical chemical descriptors which were most influential in determining susceptibility to Pgp. These descriptors were heavily weighted toward polarity (cLogP; sLog P) and hydrogen bond acceptors (number of nitrogen atoms, surface area of hydrogen bond acceptors, etc). This trend toward increasing hydrogen bond acceptors in compounds which are Pgp substrates is consistent with reported predicitive models for identifying Pgp substrates. Seelig et. al. (Seelig, 1998; Seelig and Landwojtowicz, 2000) evaluated the chemical properties of 100 Pgp substrates, inhibitors, inducers and non-substrates revealing a pattern where two hydrogen bond acceptors separated by 4.6 A or three acceptors positioned 2.5 A from each other were consistent motifs in compounds interacting with Pgp. Other predicitive models have also implicated hydrogen bonding as a determinant for Pgp substrate recognition, and studies on a homologous series suggest a correlation between hydrogen bond acceptor potency and potential to interact with Pgp (Gombar, Polli, Humphreys, Wring, and Serabjit-Singh, 2004; Osterberg and Norinder, 2000; Xue et al., 2004). Collectively these results suggest that one approach to reducing Pgp efflux of the compounds is to lower the hydrogen bond acceptor potency. Applying the strategy of reducing hydrogen bond acceptors combined with the empirical SAR proved successful eventually resulting in over 70% of the new discovery compounds having good pharmacological activity and low Pgp transport. However due to metabolism related liabilities in the core structure, a new structural template had to be pursued which presented new challenges. In contrast to the initial series in which Pgp susceptibility could be controlled by altering the substituents at two positions, Pgp liability was intrinsic to the core structure of the new series. The effects of specific substituents on Pgp transport did not transfer from the first structural series to the second. Instead, modification which increased the log P of compounds resulted in increased Pgp efflux. As noted previously Pgp-substrate interactions appear to entail partitioning of the drug into the membrane followed by interactions of the substrate with the protein. Increasing Pgp efflux with increasing Log P would be consistent with membrane partitioning being the primary limitation to transport for this series suggesting that determinants that confer high potential for recognition and transport by Pgp are intrinsic to the core structural template. In this series an amide bond was added to the core structure in place of a secondary amine. Addition of an amide bond in the first chemical series had previously been shown to dramatically increase susceptibility of compounds to Pgp. Initial attempts to replaced the amide, to introduce direct modifications to the amide bond, or to introduce steric hindrance to the amide bond reduced Pgp transport, but at the expense of pharmacological potency (figure 8a and b). Consequently, the structural features which conferred susceptibility to Pgp could not be separated from features required for pharmacological activity. The solution to this problem came through modification of the hydrogen bond acceptor potential of the amide bond. As noted previously, SAR from the initial series indicated that minimizing hydrogen bond acceptor potential could reduce susceptibility to Pgp efflux. Placing an electron withdrawing substituent (CF3) immediately adjacent to the amide bond reduces its electron density, making it a weaker hydrogen bond acceptor. Incorporating this modification into this series resulted in compounds which were not Pgp substrates and maintained high affinity to the biochemical target. Using this approach as well as other approaches to decrease the electron density of the amide bond, several compounds were prepared which maintained nanomolar potency and were not Pgp substrates. Thus, by combining empirically derived SAR with our current functional understanding of Pgp-substrate interactions strategies were developed for making potent compounds with high potential for CNS penetration such that 80-90% of compounds being prepared in this series were not substrates for human Pgp. Figure 8. : Influence of amide modifications on human Pgp mediated directional transport of new structural series. a) Pgp transport versus passive permeability for compounds containing an unmodified amide bond adjacent to R1 (♦) and compounds with modified amide bonds (■). b) Influence of amide associated substituents and modifications on Pgp transport, passive permeability, and pharmacological potency of compounds in the new structural series. Modifications which reduced Pgp efflux included replacement of the amide, methylation of the amide N, steric hindrance to the amide, and incorporation of electron withdrawing groups adjacent to the amide. Only incorporation of electron withdrawing groups retained potency while reducing Pgp efflux. maintained significant transport by rodent Pgp and showed low brain penetration in rats. Therefore the decision to pursue clinical studies in man requires considerable confidence that the in vitro human Pgp results will extrapolate to brain penetration in man. Some confidence that the low Pgp transport would extrapolate to better brain penetration in man was obtained from analysis of brain tissue and plasma drug levels in monkeys used for receptor occupancy studies. Monkey MDR1 shares 96% homology with human Pgp in which most of the amino acid substitutions are in positions which are not anticipated to significantly alter substrate interaction. With few exceptions compounds which show Pgp B to A/ A to B transport ratios lower than 3 have brain tissue drug levels between 40% and 140% of the plasma drug levels. In contrast drug levels of compounds with transport ratios greater than 3 are all below 20% of the plasma drug concentrations. Although species differences between human and monkey CNS penetration may exist for some compounds, the general trend observed suggests that in spite of the species difference in rodent, the low Pgp efflux observed for human Pgp transport in vitro will translate to high CNS penetration in vivo. The case study presented in this chapter illustrates the potential value of using in vitro transport models to establish structure based approaches to overcome Pgp efflux. The successful application of this approach requires that the in vitro model used has direct relevance to the barrier to CNS transport, and that development of SAR take into account mechanistic aspects of Pgp transport. In addition to this case study, we have found that establishment of structure transport relationships for Pgp have proven valuable in several CNS programs in which Pgp efflux has been an issue. Although specific SAR from one chemical series may not directly translate to other programs, general principles and strategies can be applied across different programs. This has allowed us to identify sites conferring Pgp susceptibility more rapidly and has yielded an assortment of approaches to overcome the liabilities in new structural series. With increased knowledge of Pgp-drug interactions and the establishment of better global SAR for Pgp transport, a broader array of strategies for limiting Pgp efflux should become available. However, it should be recognized that even with extensive SAR, identifying structural modifications to limit Pgp efflux which are compatible with maintenance of pharmacological potency, target specificity, and good drug metabolism and pharmacokinetic properties will remain a major challenge. The blood-brain barrier is an added complication to the already difficult task of transforming a pharmacologically active agent into a drug. Overcoming the numerous hurdles to discovery and development of a safe effective drug requires the coordinated efforts of medicinal chemists, biologist, pharmacologists, and drug metabolism scientist. In this regard effective communication is the most effective tool in the strategic development of CNS drugs. Todd Killino and William Neway for technical assistance on portions of this work. Raymond Evers and Tomoyuke Ohe for valuable discussions and suggestions. Ambudkar SV Dey S, Hrycyna CA, Ramachandra M, Pastan I, and Gottesman MM. Biochemical, cellular, and pharmacological aspects of the multidrug transporter. Annu Rev Pharmacol Toxicol 1999; 39:361-398. Ambudkar SV, Kimchi-Sarfaty C, Sauna ZE, and Gottesman MM. P-glycoprotein: from genomics to mechanism. Oncogene 2003; 22:7468-7485. Chiba P, Holzer W, Landau M, Bechmann G, Lorenz K, Plagens B, Hitzler M, Richter E, and Ecker G. Substituted 4-acylpyrazoles and 4-acylpyrazolones: synthesis and multidrug resistance-modulating activity. J Med Chem 1998; 41:4001-4011. Cordon-Cardo C, O'Brien JP, Boccia J, Casals D, Bertino JR, and Melamed MR. Expression of the multidrug resistance gene product (P-glycoprotein) in human normal and tumor tissues. J Histochem. Cytochem. 1990; 38:1277-1287. Ecker G, Huber M, Schmid D, and Chiba P. The importance of a nitrogen atom in modulators of multidrug resistance. Mol Pharmacol 1999; 56:791-796. Gan LS, Moseley MA, Khosla B, Augustijns PF, Bradshaw TP, Hendren RW, and Thakker DR. CYP3A-like cytochrome P450-mediated metabolism and polarized efflux of cyclosporin A in Caco-2 cells. Drug Metab Dispos 1996; 24:344-349. Gatmaitan ZC and Arias IM. Structure and function of P-glycoprotein in normal liver and small intestine. Adv.Pharmacol 1993; 24:77-97. Gombar VK, Polli JW, Humphreys JE, Wring SA, and Serabjit-Singh CS. Predicting P-glycoprotein substrates by a quantitative structure-activity relationship model. Hochman JH, Chiba M, Nishime J, Yamazaki M, and Lin JH. Influence of P-glycoprotein on the transport and metabolism of indinavir in Caco-2 cells expressing cytochrome P-450 3A4. J Pharmacol Exp Ther 2000; 292:310-318. Hochman JH, Chiba M, Yamazaki M, Tang C, and Lin JH. P-glycoprotein-mediated efflux of indinavir metabolites in Caco-2 cells expressing cytochrome P450 3A4. J Pharmacol Exp Ther 2001; 298:323-330. Jonker JW, Wagenaar E, van Deemter L, Gottschlich R, Bender HM, Dasenbrock J, and Schinkel AH. Role of blood-brain barrier P-glycoprotein in limiting brain accumulation and sedative side-effects of asimadoline, a peripherally acting analgaesic drug. Br J Pharmacol 1999; 127:43-50. Juliano RL and Ling V A surface glycoprotein modulating drug permeability in Chinese hamster ovary cell mutants. Biochim Biophys Acta 1976; 455:152-162. Kauffman, GW and Jurs PC. QSAR and k-nearest neighbor classification analysis of selective cyclooxygenase-2 inhibitors using topological based numerical descriptors. J Chem Inf Comput Sci 2001; 41:1553-1560. Kim RB, Fromm MF, Wandel C, Leake B, Wood AJJ, Roden DM, Wilkinson GR. The drug transporter P-glycoprotein limits oral absorption and brain entry of HIV-1 protease inhibitors. J Clin Invest 1998; 101:289-294. Lankas GR, Cartwright ME, and Umbenhauer D. P-glycoprotein deficiency in a subpopulation of CF-1 mice enhances avermectin-induced neurotoxicity. Toxicol Appl Pharmacol 1996; 143:357-365. Lankas GR, Wise LD, Cartwright ME, Pippert T, and Umbenhauer DR. Placental P-glycoprotein deficiency enhances susceptibility to chemically induced birth defects in mice. Reprod.Toxicol 1998; 12:457-463. Lentz KA, Polli JW, Wring SA, Humphreys JE, and Polli JE. Influence of passive permeability on apparent P-glycoprotein kinetics. Pharm Res 2000; 17:14561460. Lown KS, Mayo RR, Leichtman AB, Hsiao HL, Turgeon DK, Schmiedlin-Ren P, Brown MB, Guo W, Rossi SJ, Benet LZ, and Watkins PB. Role of intestinal P-glycoprotein (mdr1) in interpatient variation in the oral bioavailability of cyclosporine. Clin Pharmacol Ther 1997; 62:248-260. Mayer U, Wagenaar E, Beijnen JH, Smit JW, Meijer DK, van Asperen J, Borst P, and Schinkel AH. Substantial excretion of digoxin via the intestinal mucosa and prevention of long-term digoxin accumulation in the brain by the mdr 1a P-glycoprotein. Br J Pharmacol 1996; 119:1038-1044. Mechetner EB, Schott B, Morse BS, Stein WD, Druley T, Davis KA, Tsuruo T, and Roninson IB. P-glycoprotein function involves conformational transitions detectable by differential immunoreactivity. Proc Natl Acad Sci US A 1997; 94:12908-12913. Osterberg T and Norinder U. Theoretical calculation and prediction of P-glycoprotein-interacting drugs using MolSurf parametrization and PLS statistics. Eur J Pharm Sci 2000; 10:295-303. Polli JW, Wring SA, Humphreys JE, Huang L, Morgan JB, Webster LO, and Serabjit-Singh CS. Rational use of in vitro P-glycoprotein assays in drug discovery. J Pharmacol Exp Ther 2001; 299:620-628. Prueksaritanont, T., Meng, Y., Ma, B., Leppert, P., Hochman, J., Tang, C., Perkins, J., Zrada, M., Meissner, R., Duggan, M.E. and Lin, J.H. Differences in the absorption, metabolism and biliary excretion of a diastereomeric pair of alpha(upsilon)beta(3)-antagonists in rat: Limited role of P glycoprotein. Xenobiotica, 2002; 32: 207-220. Roninson IB, Chin JE, Choi KG, Gros P, Housman DE, Fojo A, Shen DW, Gottesman MM, and Pastan I. Isolation of human mdr DNA sequences amplified in multidrug-resistant KB carcinoma cells. Proc Natl Acad Sci U S A 1986; 83:4538-4542. Rosenberg MF, Kamis AB, Callaghan R, Higgins CF, and Ford RC. Three-dimensional structures of the mammalian multidrug resistance P-glycoprotein demonstrate major conformational changes in the transmembrane domains upon nucleotide binding. J Biol Chem 2003; 278:8294-8299. Rosenberg MF, Velarde G, Ford RC, Martin C, Berridge G, Kerr ID, Callaghan R, Schmidlin A, Wooding C, Linton KJ, and Higgins CF. Repacking of the transmembrane domains of P-glycoprotein during the transport ATPase cycle. EMBO J 2001; 20:5615-5625. Scala S, Akhmed N, Rao US, Paull K, Lan LB, Dickstein B, Lee JS, Elgemeie GH, Stein WD, and Bates SE. P-glycoprotein substrates and antagonists cluster into two distinct groups. Mol Pharmacol 1997; 51:1024-1033. Schinkel AH, Smit JJ, van Tellingen O, Beijnen JH, Wagenaar E, van Deemter L, Mol CA, Van Der Valk MA, Robanus-Maandag EC, te Riele HP, et.al. Disruption of the mouse mdr1a P-glycoprotein gene leads to a deficiency in the blood-brain barrier and to increased sensitivity to drugs. Cell 1994; 77:491-502. Schinkel AH, Wagenaar E, Mol CA, and van Deemter L. P-glycoprotein in the blood-brain barrier of mice influences the brain penetration and pharmacological activity of many drugs. J Clin Invest 1996; 97:2517-2524. Schinkel AH, Wagenaar E, van Deemter L, Mol CA, and Borst P. Absence of the mdr1a P-Glycoprotein in mice affects tissue distribution and pharmacokinetics of dexamethasone, digoxin, and cyclosporin A. J Clin Invest 1995; 96:16981705. Seelig A and Landwojtowicz E. Structure-activity relationship of P-glycoprotein substrates and modifiers. Eur J Pharm Sci 2000; 12:31-40. Shapiro AB and Ling V Extraction of Hoechst 33342 from the cytoplasmic leaflet of the plasma membrane by P-glycoprotein. Eur J Biochem 1997; 250:122-129. Smit JW, Huisman MT, van Tellingen O, Wiltshire HR, and Schinkel AH. Absence or pharmacological blocking of placental P-glycoprotein profoundly increases fetal drug exposure. J Clin Invest 1999; 104:1441-1447. Smit JW, Schinkel AH, Weert B, and Meijer DK. Hepatobiliary and intestinal clearance of amphiphilic cationic drugs in mice in which both mdr1a and mdr1b genes have been disrupted. Br J Pharmacol 1998; 124:416-424. Sonveaux N, Vigano C, Shapiro AB, Ling V and Ruysschaert JM. Ligand-mediated tertiary structure changes of reconstituted P-glycoprotein. A tryptophan fluorescence quenching analysis. J Biol Chem 1999; 274:1764917654. Sparreboom A, van Asperen J, Mayer U, Schinkel AH, Smit JW, Meijer DK, Borst P, Nooijen WJ, Beijnen JH, and van Tellingen O. Limited oral bioavailability and active epithelial excretion of paclitaxel (Taxol) caused by P-glycoprotein in the intestine. Proc Natl Acad Sci U S A 1997; 94:2031-2035. 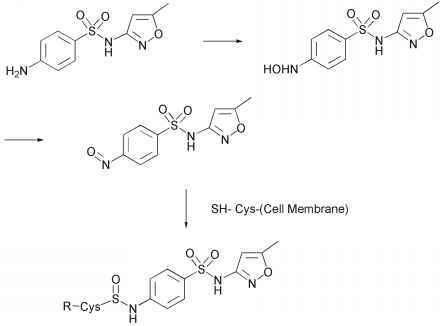 Speeg KV, Maldonado AL, Liaci J, and Muirhead D. Effect of cyclosporine on colchicine secretion by a liver canalicular transporter studied in vivo. Hepatology 1992; 15:899-903. Thiebaut F, Tsuruo T, Hamada H, Gottesman MM, Pastan I, and Willingham MC. Immunohistochemical localization in normal tissues of different epitopes in the multidrug transport protein P170: evidence for localization in brain capillaries and crossreactivity of one antibody with a muscle protein. J Histochem.Cytochem. 19889; 37:159-164. Troutman MD and Thakker DR (2003a) Efflux ratio cannot assess P-glycoprotein-mediated attenuation of absorptive transport: asymmetric effect of P-glycoprotein on absorptive and secretory transport across Caco-2 cell monolayers. Pharm Res 2003a; 20:1200-1209. Troutman MD and Thakker DR. Novel experimental parameters to quantify the modulation of absorptive and secretory transport of compounds by P-glycoprotein in cell culture models of intestinal epithelium. Pharm Res 2003b; 20:1210-1224. Wacher VJ, Silverman JA, Zhang Y, and Benet LZ. Role of P-glycoprotein and cytochrome P450 3A in limiting oral absorption of peptides and peptidomimetics. J Pharm Sci 1998; 87:1322-1330. Wang G, Pincheira R, and Zhang JT. Dissection of drug-binding-induced conformational changes in P-glycoprotein. Eur J Biochem 1998; 255:383-390. Wang G, Pincheira R, Zhang M, and Zhang JT. Conformational changes of P-glycoprotein by nucleotide binding. Biochem J 1997; 328 ( Pt 3):897-904. Xue Y, Yap CW, Sun LZ, Cao ZW, Wang JF, and Chen YZ. Prediction of P-glycoprotein substrates by a support vector machine approach. J Chem Inf Comput Sci 2004; 44:1497-1505. Yamazaki M, Neway WE, Ohe T, Chen I, Rowe JF, Hochman JH, Chiba M, and Lin JH. In vitro substrate identification studies for p-glycoprotein-mediated transport: species difference and predictability of in vivo results. J Pharmacol Exp Ther 2001; 296:723-735.